by Jim Corbran, Automotive Columnist I was sitting in my crappy old sedan at a red light on Niagara Falls Boulevard a couple of weeks ago behind a shiny new Bright Yellow (yes, that’s the actual color name) Chevy Camaro. Seconds later, a guy pulls up next to me in a new Triple Yellow (see above) Ford Mustang GT. I see him eyeing the Camaro, with a look on his face which said “I wish I were next to him.” But he wasn’t. That’s another stoplight race for another time. I managed to get his attention, and yelled out the window “I like your car better,” to which he nodded and smiled. I guess growing up in Hamburg with so many neighbors working at the Ford plant made me a Ford guy in the eternal Ford vs. Chevy wars. Plus the fact that there were a number of Fords parked in our own driveway during my formative years. I’ve actually owned seven myself (so far) as opposed to the three Chevys we’ve had over the years — none of which I bought, as they were all inherited (two Monte Carlos and a Lumina). The other day I went online and built my own Camaro and Mustang, to see how they compared both pricewaise and equipmentwise. The photos here show you what I ended up with. Again, I’m picking the Mustang. I like the 2.3L EcoBoost turbocharged four over the Camaro’s 6.2L V-8. 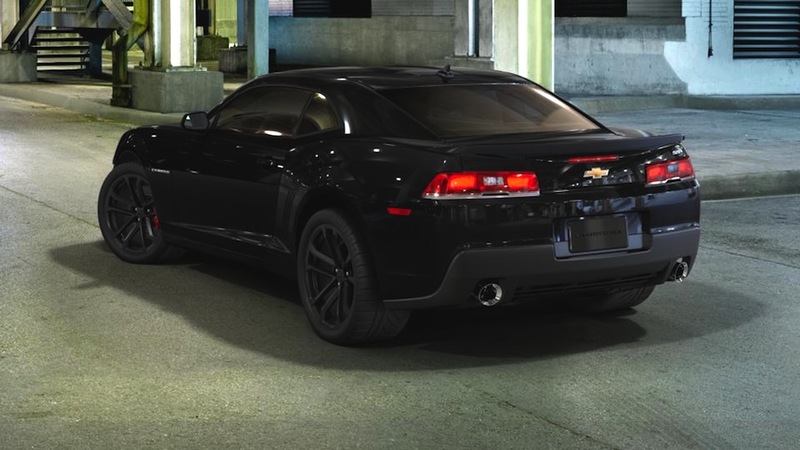 I chose the 1SS version of the Camaro because it was the cheapest version on which I could get the black rims. (Yes, I guess I really wanted those rims!) The Camaro’s color choices also left me wanting. On each car I chose one option group: the EcoBoost performance package on the Mustang, and the SS 1Le (what a name!) performance package for the Camaro (see details online below). Both gave me the handling bits which I think are essential on cars like this. I also picked the Recaro seats in the Mustang, because they’re about the most comfortable seats you can sink a rear end into. My cars priced out at: Mustang — $30,580 Camaro — $38,000 See what you come up with at: Build your Mustang Build your Camaro ### The post CHEVY VS FORD: CHAPTER UMPTEEN appeared first on Buffalo Cars.